John's cases include representation of such clients as Realogy Corp.; Coldwell Banker Real Estate LLC; Century 21 Real Estate LLC; Citizens of Humanity; Public Storage, Inc.; Brighton Collectibles, Inc.; Ticketmaster; Pearl Bakery; DIRECTV; SunAmerica; Broadcom; Apple; Steven Spielberg/ Dreamworks; the founders of Guess jeans; Olivia Newton-John; and Beverly Hills Sports Council. 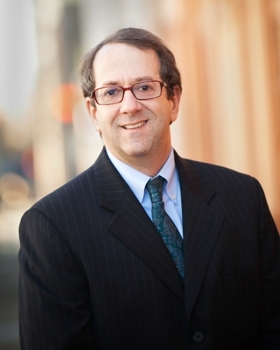 John is AV®, peer review rated by Martindale-Hubbell and is admitted to practice law in Oregon and Washington and California. Represented Canadian franchisor of "Booster Juice" fruit smoothie shops in the defense of multiple U.S. arbitrations, including two complex arbitrations that both required several weeks of hearings. After the hearings, the franchisor was fully vindicated against all claims and obtained awards of attorneys fees. Represented premium jean maker Citizens of Humanity in a successful two week trial, obtaining a jury verdict of more than $11.3 million against Japanese distributors for breach of contract, trademark infringement, and fraud. Represented subsidiaries and affiliates of Realogy Corp. including Coldwell Banker Real Estate LLC, ERA Franchise Systems, LLC and Century 21 Real Estate, LLC in numerous actions, including defense of consumer class actions alleging unfair business practices and violations of the Real Estate Settlement Procedures Act (RESPA). Represented Citizens of Humanity apparel company in copyright action against competitor using Citizens' back pocket design. Represented Pearl Bakery in claim for trademark infringement against former licensee. Represented affiliates of Public Storage, Inc. in defense of class action and derivative suits alleging that certain securities transactions involved unfair self-dealing and violated state and federal securities laws. Represented Phycor, Inc., a former NYSE company, in defense of a claim for securities fraud arising out of the purchase of a hospital and medical group in exchange for stock. Represented employer in defense of class action alleging late payment of wages after termination and successfully obtained ruling by the Oregon Court of Appeals that plaintiffs' claim was subject to arbitration. Represented shareholder in suit to partition real property owned by the corporation and obtained summary judgment compelling partition by sale. Represented apparel manufacturer in lawsuits against foreign distributors for breach of contract and fraud. Represented director Steven Spielberg in defense of claim for fraud by individual who had financed Mr. Spielberg's first short film, obtaining summary judgment dismissing the claim. Represented sports broadcaster in defense of claim for sexual assault. Represented venture capitalist in defense of claim for fraud in connection with the sale of stock in privately held company. Represented employer to obtain permanent injunction enforcing non-competition agreement against former employee. Represented homeowner in prosecuting claims against title insurer Chicago Title for breach of contract and bad faith. Represented sports agency in defense of a suit brought by the former agent for baseball superstar Barry Bonds alleging interference with contract. Represented a high tech corporation that was acquired at a very high valuation by Broadcom, Inc., in defense of a claim by an early prospective investor who claimed he had an oral contract to receive a substantial percentage of stock in the company. Represented Goldman Sachs & Co., Inc. in several matters, including defense of several NASD arbitrations. Represented garment accessory company in suit against Fossil pursuing claims for false advertising, violation of the Lanham Act, and trade dress infringement. Also represented the same company in several lawsuits alleging copyright infringement related to designs of hardware on clothing accessories (such as belts and purses) and in defense of claims of trademark infringement rights to names used for specific styles or models. Represented the Marciano brothers, the founders of Guess?, Inc., in worldwide litigation against the owners of Jordache jeans. This representation included two jury trials totaling seven months, as well as ancillary litigation in numerous jurisdictions, including California (state and federal), New York, Delaware, and Hong Kong. Represented Sunamerica in prosecuting claims against a former partner for breach of fiduciary duty and misappropriation of partnership opportunities and in defending against a cross-complaint alleging similar claims, including a two month bench trial. Represented an individual in prosecuting a claim for insurance bad faith against Fireman's Fund involving a Roy Lichtenstein painting damaged in the 1994 Northridge earthquake, culminating with a two month jury trial and jury verdict in favor of our client for $2.5 million in compensatory damages and $5 million in punitive damages.